Come in and meet our medical aestheticians, Emily Carlson and Elana Sahagun. With their vast knowledge of natural botanicals, and experience with medical procedures, allow them to design individual custom treatment plans. Their specialties in medical grade facials and chemical peels will leave your skin feeling rejuvenated. The Secret is proud to have Emily and Elana take care of all your aesthetic needs. This result proven, advanced medical technology blended facial is the best comprehensive anti-aging treatment to bring back that youthful radiant rejuvenated look. Specialized peptides nourish and revitalize skin cells while highly comforting and healing ingredients soothe hydrate and restore elasticity. The deep cleansing, purifying facial is the perfect blend of science and aesthetics. A most unique and truly innovative combination of anti-aging serums and oxygen to renew and restore skin health. This ultra-luxurious treatment combines the best of natural Vitamins, soothing botanicals, medical grade serums to pamper skin and instantly deliver results. Our high-tech cell regenerating moisturizing cocktail is a real complexion reviver. You will be vibrantly glowing for that all important special day. Addresses skin PH balance, excess oiliness, and inflammatory concerns with purifying natural botanicals and specialty serums to penetrate, exfoliate and control breakouts. Great for teens and young adults battling acne. This facial includes an infusion that will renew and brighten your complexion, leaving your skin with its natural, youthful glow. Great for sensitive skin including rosacea and post-laser patients. Addresses men’s skin care needs such as reduction of facial ingrown hairs, relieving skin sensitivity, and razor burn. 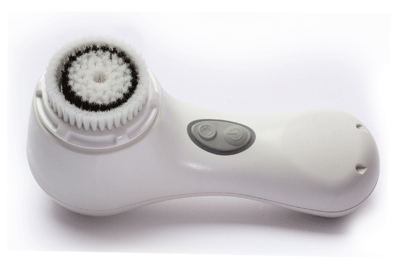 The deep cleansing, therapeutic treatment will help refine pores and leave skin feeling rejuvenated. Come in and experience a relaxing neck and shoulder massage to help relieve tension with fruit enzymes to revive slugglish skin. This facial provides your skin with a boost of hydration that includes a high frequency for a deeper cleansing effect, and a calming neck and shoulder massage. This facial includes a deep cleansing treatment that focuses on extracting open and closed white and blackheads. During extractions will be minimal discomfort and will be completed with a cooling, soothing mask. In this treatment involves a vacuum pump that gently lifts skin as the bristles sweep away dead skin that has been built up. Revitalizes dull skin, restores skin’s smooth texture, and helps reduce hyperpigmentation, acne scars, and fine lines. This treatment is ideal for post chemical peels, fraxel, and IPL. This customized treatment addresses skin concerns that aids in calming the skin especially after a DermaSweep. In addition helps in reducing inflammation and redness and helps nourish the skin.